44 years of age (applicants must be 21 prior to graduating the academy and must not turn 45 prior to graduating the academy). - must never have been convicted of or received community supervision for a Class A Misdemeanor or Felony. - must not have been convicted of or received community supervision for a Class B Misdemeanor within the past 10 years. - former military personnel must not have been convicted of any court-martial higher than a summary. - must have a stable credit history, family background and employment background (please note: any accounts in collections must be resolved prior to submitting your application, and supporting documentation must be provided confirming the accounts have been resolved). 3) At least five years of full-time employment as a peace officer licensed by TCOLE or an equivalent licensing entity in another state. 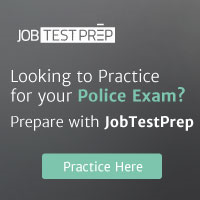 Visit www.hpdcareer.com to learn more about the Houston Police Department and to apply.